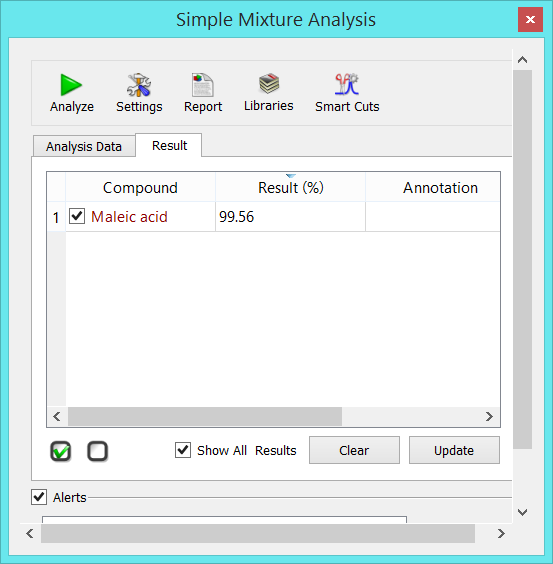 If you were happy testing the provided worked example (Brucine with spiked ether) explained in our “getting started” guide then it is your turn to create your own library of compounds and experiments. 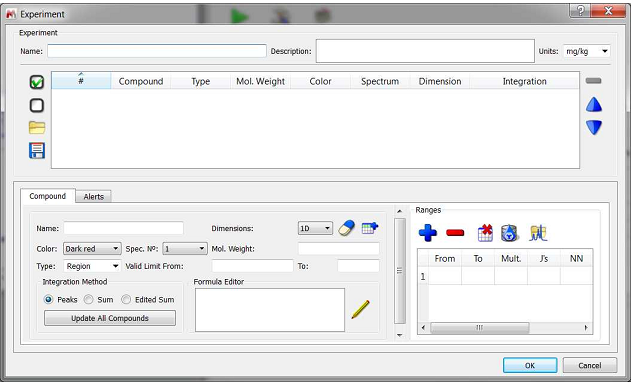 Select “New library” on the SMA panel to display the “Library” panel. 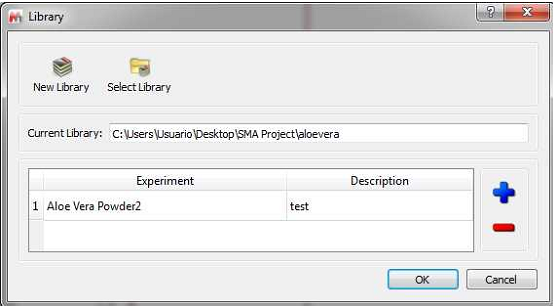 Then click on “Select Library” and select the folder containing a previously saved .exp file. 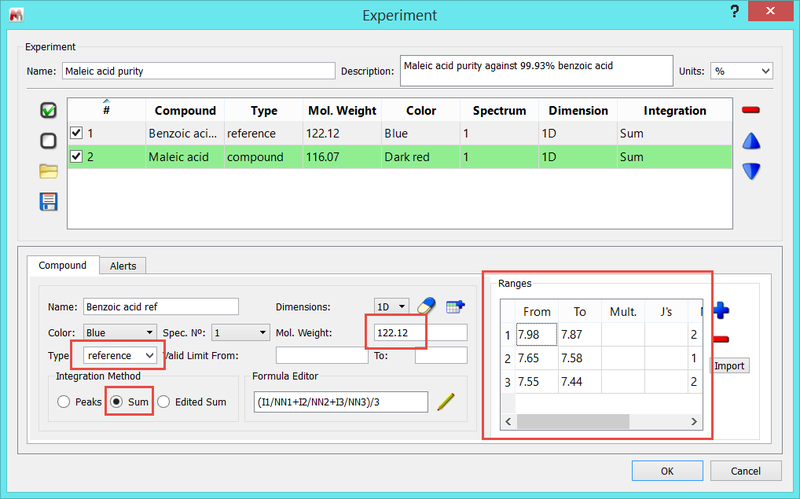 Now you can add new experiments by clicking on the “blue plus” button or edit existing ones by double clicking on the applicable row. 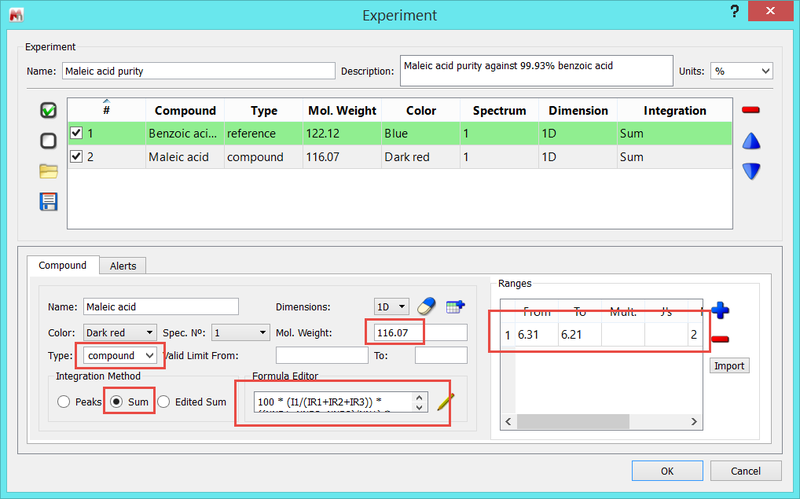 (Another way to edit an experiment is by clicking on the “Edit Experiment” button in the SMA panel). 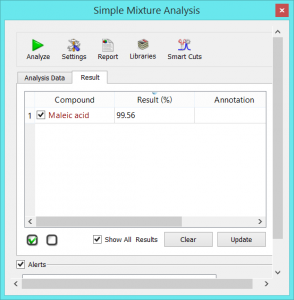 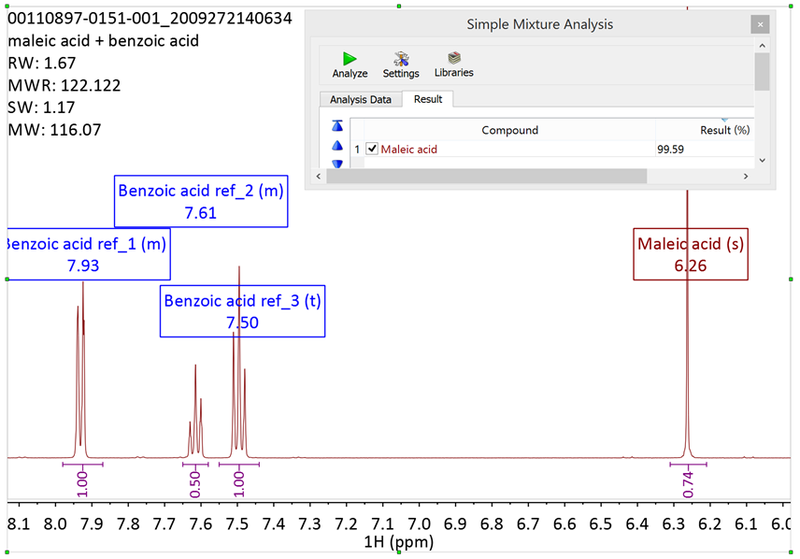 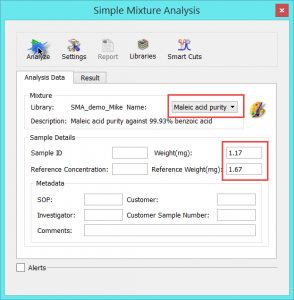 The SMA “Experiment” interface can be divided into three distinctive areas: Experiment, Compound Editor and Formula Editor. 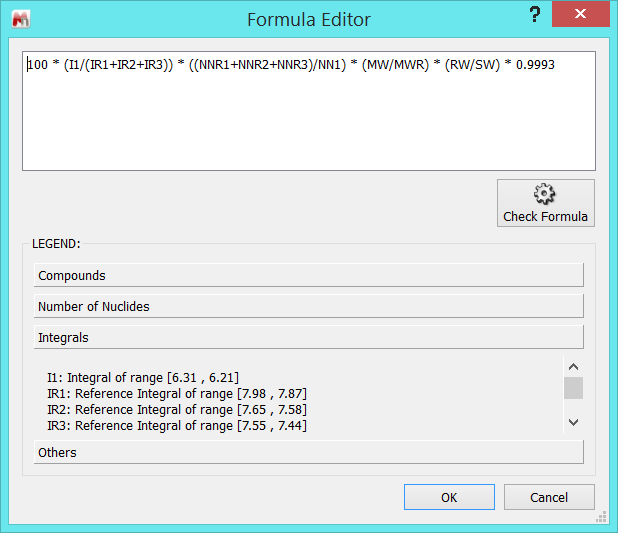 The formula editor is not used in this instance. 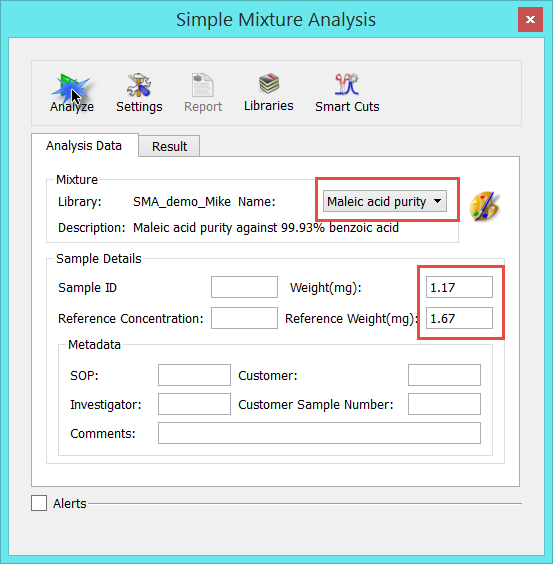 The following formula is basically the standard equation for purity, but we have used all three benzoic acid multiplets for it. 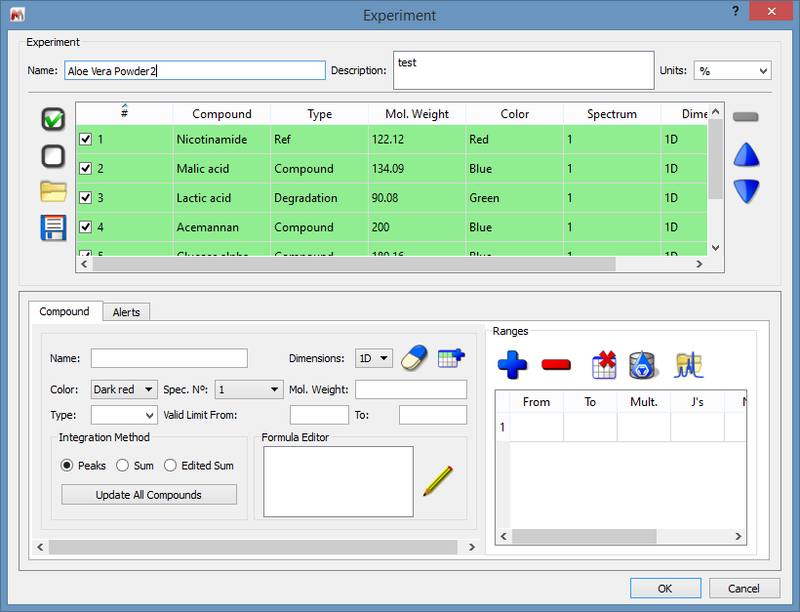 You can see below how the formula editor looks like. You can read more about how to use the formula editor.